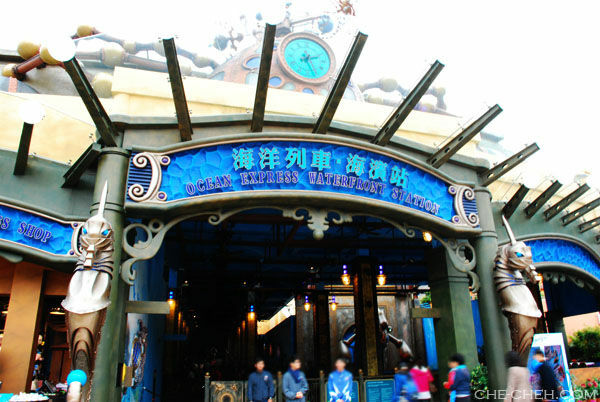 Ocean Park… I was here! 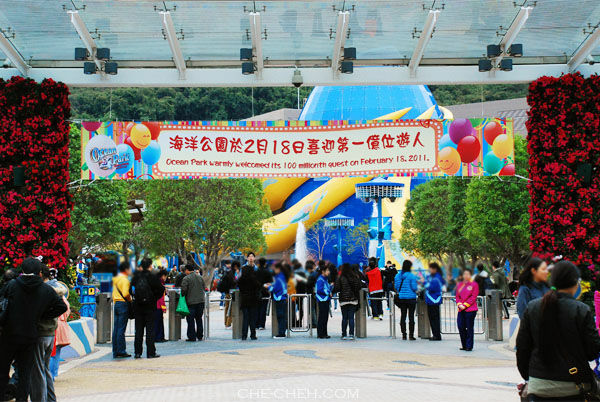 Printed on the large banner: Ocean Park warmly welcomed its 100th millionth guest on February 18, 2011. 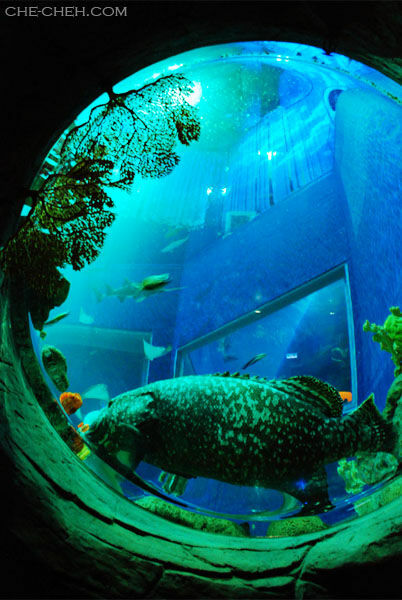 At the Grand Aquarium. 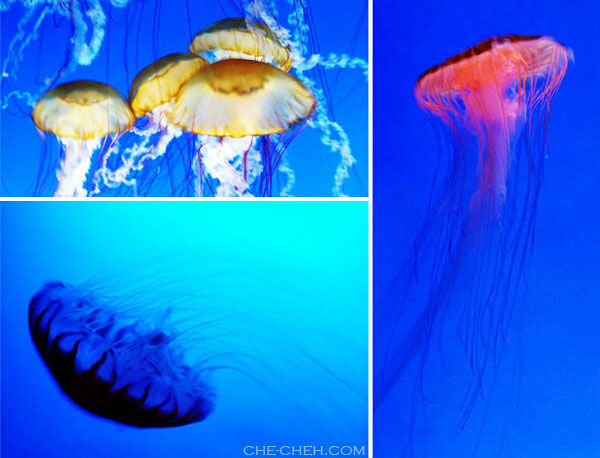 Sharks, stingrays and plenty of fishes. 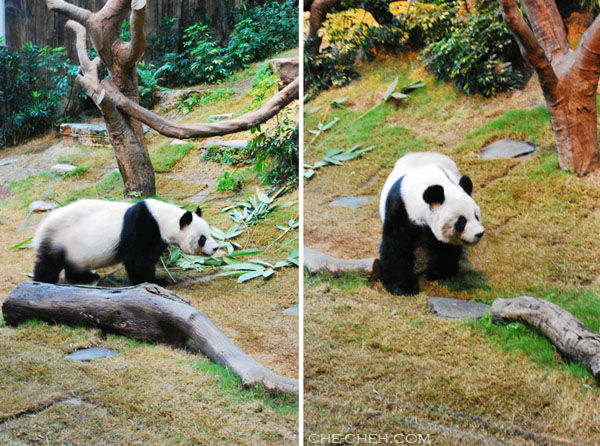 At the Giant Panda Habitat. Boring after some time. Attractive for kids of course. 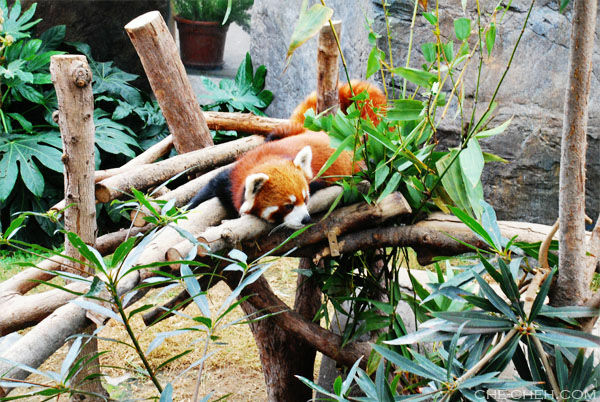 Red panda. So cute eh? Seafood congee is a bit bland but not bad. You have to add salt and pepper. Roasted duck rice is yummy. 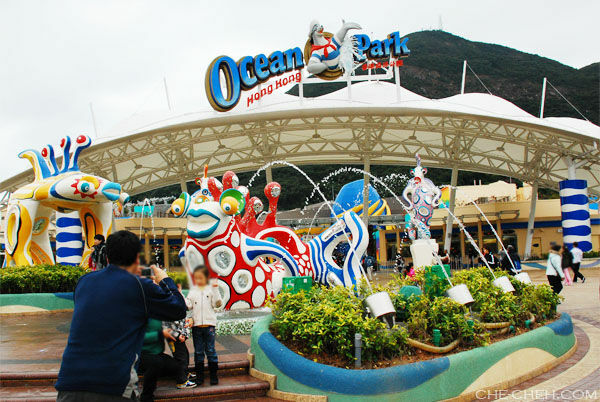 Ocean Park is divided into 2 areas which is called the waterfront and summit. 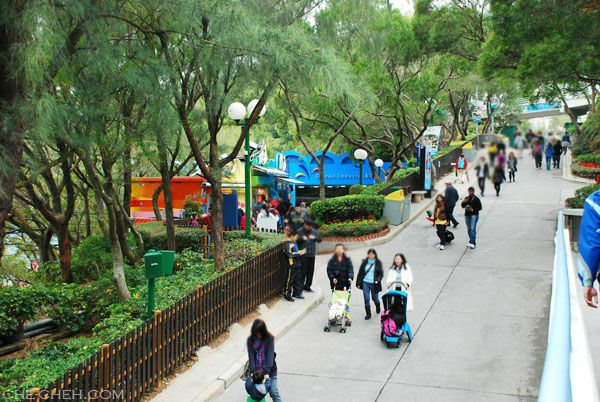 So far what I’ve shown you above is at the waterfront area where edu attractions and kids rides are situated. 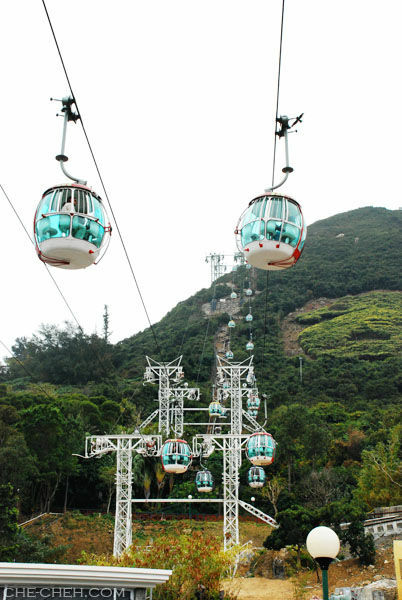 At the summit, you will find adults thrills rides and more edu attractions. This is the stunning view you get at the summit. 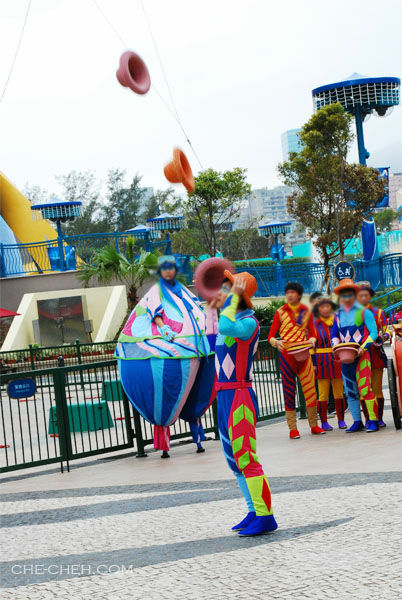 Sea Dreams show for dolphins and sea lions performance. 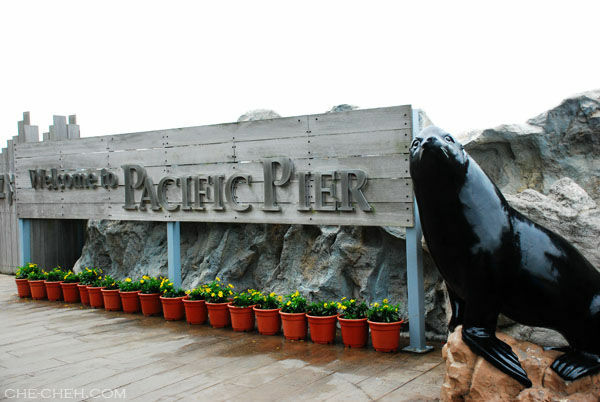 Pacific Pier where the sea lions lives. Shopping time before we head back. Bought a very cute sea lion toy. Will show next time. Journey back (by bus) took a little longer ~25 mins as it was rush hour. Since we’re dead tired, we searched our dinner near the vicinity (Ocean Park bus stop). Head to Far East Finance Centre which is just opposite the bus stop because we saw Monster Burger. Wanted to try since yesterday (saw one at Stanley Street) but unfortunately the outlet was closing for the day. The time was only 7.30pm. So laku eh?? Next time then. Then I simply choose a restaurant to dine in. The diner is called Cafe De Coral. The food was so yummy ohh. Really can’t imagine by the look of it. Review soon at Messy Witchen. Review is done. Click at the restaurant name to read the review at Messy Witchen. After dinner, we took the MTR back and on the way stopped at 7-11, Express and Aji Iciban for snacks and souvenirs. The name might be in Japanese but Aji Iciban is purely Hong Kong. No matter where you go, you will surely bump into Aji Iciban. They’re available at the airport too. 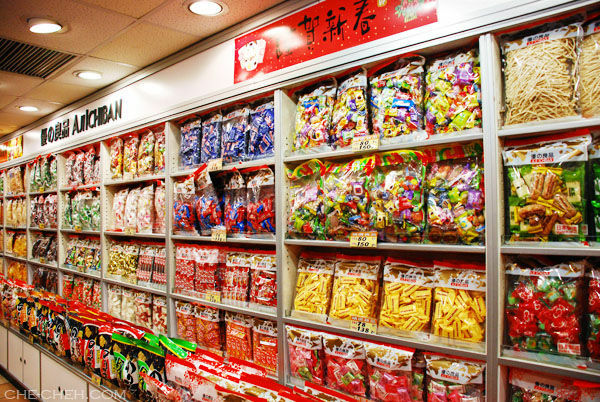 Aji Iciban is the largest snack food franchises. My favs snack from them are the wasabi broad beans and wasabi green beans. We bought the pick and mix bag as they are more worthy. The sesame egg rolls with shredded pork is nice too. 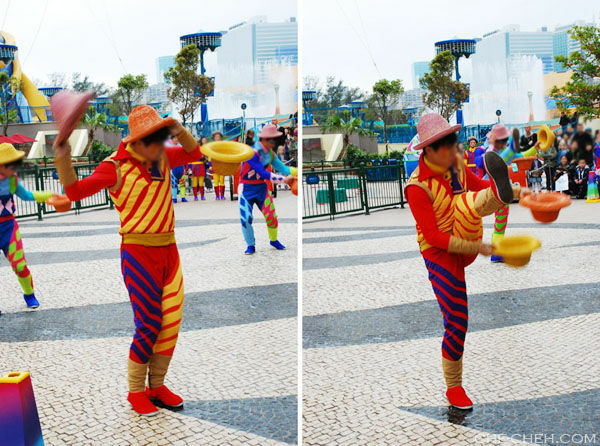 You really spend a day at ocean park. Lot’s of things to see…. I didn’t even go to all the attractions… no time. You’ve been there before? Try any thrills rides? Have been on a cable car but never on a double-decker bus before. 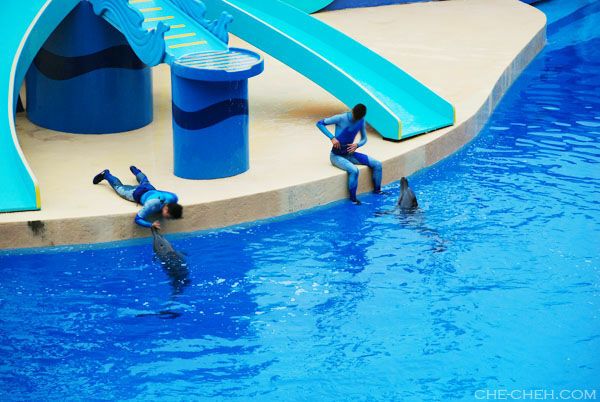 The dolphins performance is great and nice, seen this before at our local zoo as my friend was the trainer for the dolphins. 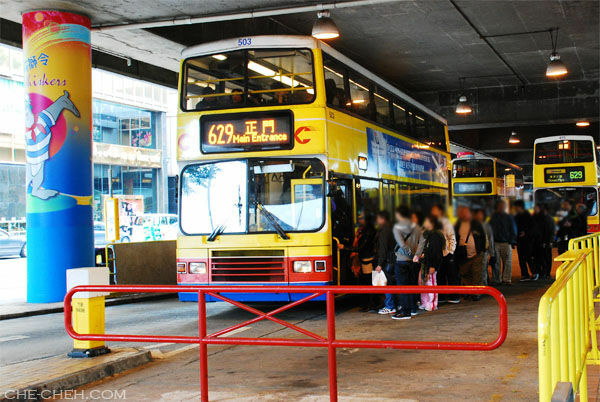 As for double-decker I’ve rode the HK tram once but I sat in lower compartment as it was very crammed. Woo nice nice. Did you get to touch the dolphins? Didn’t know we have dolphins performance at our local zoo. Have not been there for ages! Oh! 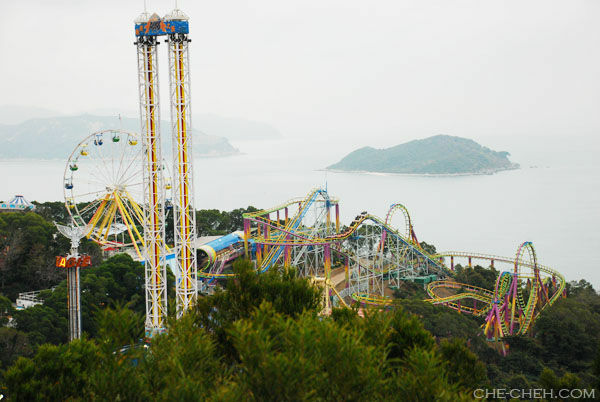 I must visit Ocean Park!! So need to spend one whole day there? Ya most likely. 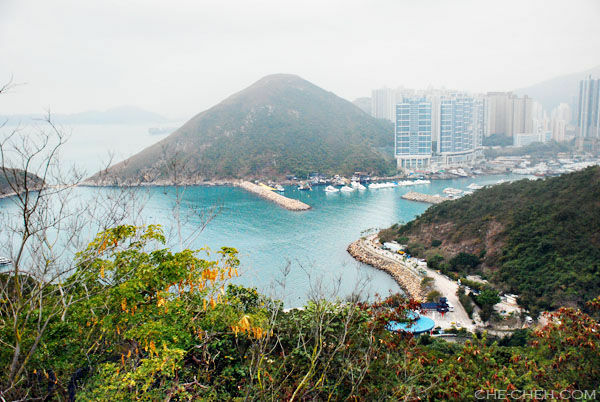 Unless you spend time only at the waterfront then half day is enough. 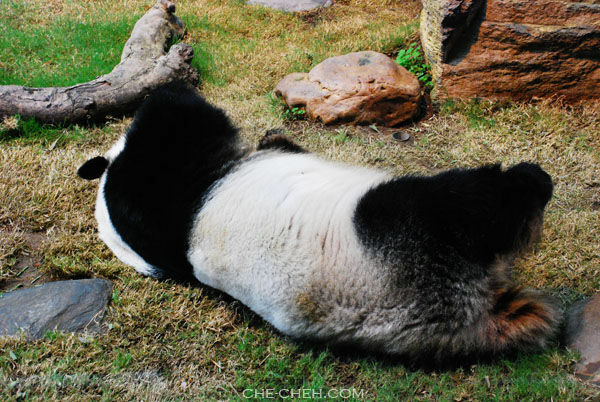 Hehehe… so do you sleep like that panda? 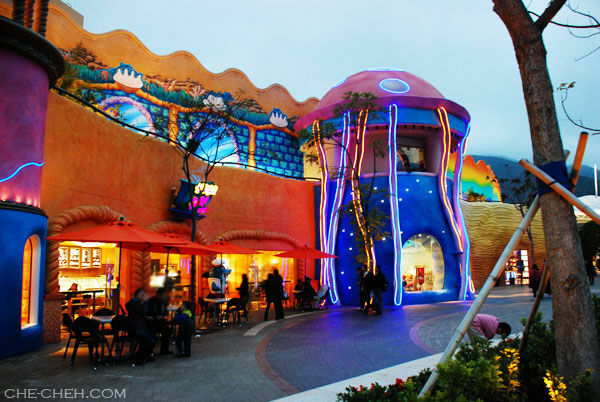 Shopping at Ocean Park must be expensive right? Just like shopping in Disneyland? You are right. But still I’m sure many will buy something to take home as souvenir (like me… haha). I’m not a thrill-ride fan….but don’t mind doing jumps! 🙂 Oh I miss Aji Iciban…each time in Spore will buy lots of preserved fruits and snacks.